"I'm trying to explain...we've decided that touchdowns will now be worth five points in the first quarter and eleven points in the fourth, unless of course the opposing team's mascot enters the playing field and if that should happen, when he enters on the five yard line the points double, and if it's the forty-five they triple, unless of course only one foot enters the field of play and then it is a negative sixteen, unless the player scoring the touchdown dives into the stand and then all is moot until we determine style points for the dive...oh, and games are no longer composed of fifteen minute quarters, but fifths now, and I'll tell you later how many minutes per fifth and...what? Seems pretty clear to me... Perhaps I've given you too much info and I should just decide the score myself...after all, I'm neutral." It isn’t that difficult, or at least it shouldn’t be. In any process where a determination is made, where a judgment will be proffered, clearly defined rules not only protect the claimant, they protect the arbitrator. Rules let people know where they stand, what they need to do, what damage they need to show and upon showing said damage, they then have a clear expectation on what it is they will receive. Clearly defined rules also protect the judge, the arbitrator from accusations of bias, malfeasance and challenges to the process itself. Since the Deepwater Horizon exploded, the people of the Gulf Coast have been forced to live in a place with no guidelines or clarity. They struggle inside the gray haze. What’s the flow rate? Is the seafood safe? When can we get back to work? Is our way of life over? Will we get sick? What is the real toxicity of Corexit dispersant? What happened to the oil? Which scientist do you want to believe? Some of these questions could have been answered and weren’t, while some of the questions were impossible to answer but it also seemed BP, the government and the Coast Guard were doing their best to keep people in the dark or answer nothing. So when Feinberg, the arbitrator of the $20 billion claims fund came to town, it should have been expected that at least when it comes to the damage claims, a population so understandably twisted up by the unknown would at least have some sense of financial clarity, something they can use to plan their immediate futures. Feinberg and his claims process, like all things oil spill, quickly faded into the same gray cloud of confusion Gulf Coast residents have been forced to live under since the beginning of BP’s oil catastraphuk. Pearson has two separate claims for her business, one for the laundry side and one for the cleaning side. For the laundry side the claims facility paid six of the six months on the emergency payment, but on the cleaning side, they only paid two of the six months. Those inconsistencies are yet another frustration to Pearson. “There is no documentation. You just take whatever it is they decide to pay. So I have no idea how they came up with their number,” said Pearson. 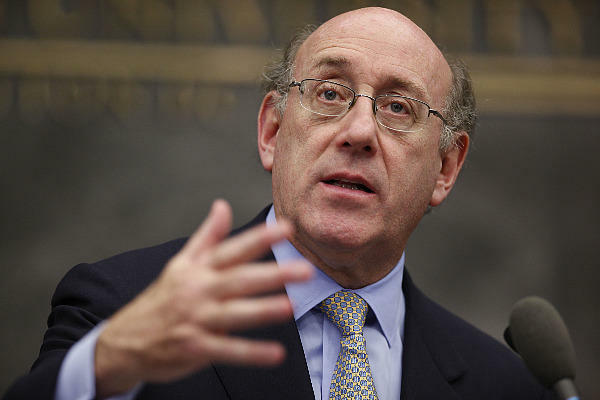 Interesting that Ken Feinberg’s GCCF, the constant champion of documentation and turning claims down due to a stated lack thereof, issues no documentation of his own. All across the Gulf Coast are people confused as to why they have been turned down, on what basis, for what reason, so much so that the Justice Department, politicians and residents across the region have called for Feinberg to be transparent about the process. Explain yourself, why fishers on a boat get a claims check, but the guy who owns the boat gets turned down…why BP was willing to pay a claimant money, but the GCCF refused…why it takes an inquiry from the Times-Picayune about a specific claim to finally get a check in the hands of a fisherman. If the fisherman was determined eligible, why not just pay? Feinberg has stated before he is considering these requests for transparency, but has yet to offer any sort of guidelines, post anything on the GCCF website, give any clear idea to residents what their expectations may be…all while asking claimants to waive the right to sue BP and take his final settlement check with only the promise that he will be more generous than any court. This is a sham and Feinberg should be forced to explain the process or be fired in favor of someone who will because the residents of the Gulf Coast have been forced to live with misinformation and confusion for far too long. That, or perhaps we should all “consider” this…why is it the only two entities who aren’t complaining about a lack of transparency in the claims process are Feinberg’s GCCF and BP?